We train adult students of any age and from many different backgrounds to become professional Acupuncturists. They study Acupuncture and TCM theory during the first 2 years of part time study. In the third year they receive clinical training in the college’s Teaching Clinic. You do not need any prior knowledge of Western Medicine or Chinese Medicine to apply for this course. If you wish, you can go now to Who can apply where you can find out the detailed entry requirements. The following pages, under the menu heading Acupuncture, give details of the Acupuncture Training at the College. These include the key features, course schedule, certification and qualification. In addition, you can read the full syllabus and find out about the application procedures and the type of students who study at the ICTCM. 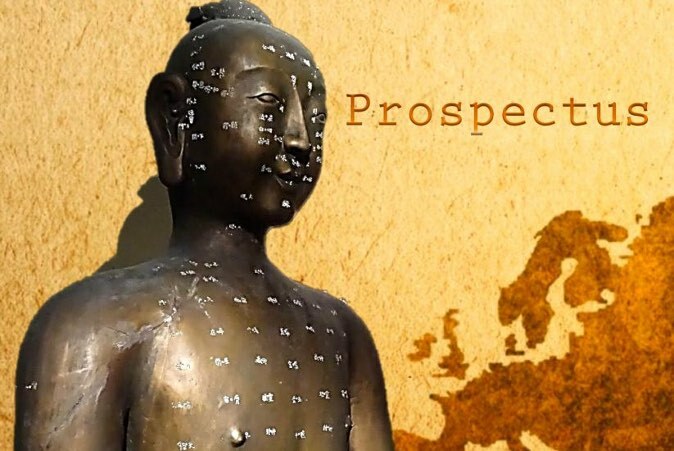 We provide links to the Acupuncture Prospectus pack which includes the fee information for the current year. 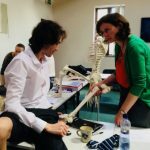 At the Irish College of Traditional Chinese Medicine, we aim to provide thorough and comprehensive Acupuncture training. This enables graduates to set up in practice as competent and confident Acupuncturists, as soon as they have successfully completed the course. 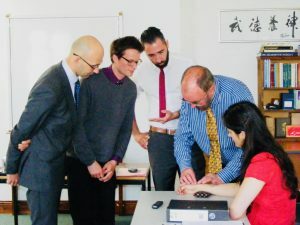 Students learn to use a full range of Traditional Chinese Medicine (TCM) diagnostic and therapeutic tools to provide suitable, safe, effective and professional treatment to their clients. The diagnostic methods include Pulse Diagnosis, Tongue Diagnosis, Asking diagnosis and Looking diagnosis. These are a quintessential part of Traditional Chinese Medicine. Treatment methods taught on the programme include Acupuncture, Cupping, Moxibustion, and Chinese Medical Dietary advice and Lifestyle Advice. Full details of the Syllabus is available on 3 subsequent pages, the first of which is called Syllabus – TCM Theory. Acupuncture, used within the framework of TCM, can be used to treat a host of different medical conditions from the mild and uncomfortable to the seriously debilitating. It can treat patients of all ages from the very old, to the new born. Furthermore, this type of treatment can alleviate, or even sometimes cure, current diseases – whether physical, emotional or psychological. Additionally, it can better equip a client to be more resistant to future illness. Thus, healthy clients can be assisted to remain so, and treatment can even enhance their own health, so they feel as if they are really “firing on all cylinders”. People visit an Acupuncturist or a “TCM practitioner specialising in Acupuncture” for help with many different sorts of illnesses. 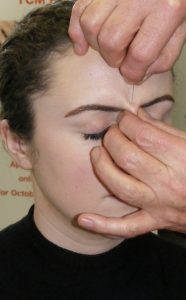 The Professional Acupuncture Body, the PRTCM provides more information on this topic on the Professional Register of TCM website. This TCM course is based on classical Chinese Medicine, and thus provides more than just “Acupuncture” Training. On our TCM and its branches pages, there is detailed advice and guidance about the different types of treatments that might be called Acupuncture. We suggest that you read this page first, to be sure that this Acupuncture training course will meet your needs and expectations. These pages give information about the branches of the whole medical field of Chinese Medicine. We can confidently say that if you want to learn classical Acupuncture, used as part of Traditional Chinese Medicine, then you should apply for the Licentiate course. It provides the necessary theoretical foundations in TCM and the practical clinical skills required to become a professional Acupuncturist or more specifically a TCM practitioner specialising in Acupuncture. The course is part-time and it is, therefore, demanding because it is training students to become medical professionals, who will be treating patients with real medical conditions within about 2 and a half years of starting their Acupuncture training. Thus, as our students wish to become fully competent, qualified, confident and professional Acupuncturists in a relatively short time, we only accept applicants who are willing and able to face the associated opportunities and challenges. The part-time nature of the course is described in detail on the Acupuncture Training Course Structure page. We know that adult students have other responsibilities and time constraints, than just studying Acupuncture and TCM, and we have designed the Acupuncture Training programme for people who are currently working full-time, in either another career or in the home, or both. It is our aim to enable those wishing to change to a caring and worthwhile career to successfully achieve their goal of becoming a well-qualified Acupuncturist. Visit the Students and Graduates page for more information about the type of people who study with us. Or go directly to the next page for a summary of the distinctive features of our Professional Acupuncture Programme.